Audinate has partnered with Clear-Com to offer a broadcast focused version of its Dante Certification Program at the National Association of Broadcasters (NAB) Show in Las Vegas, NV on Wednesday, Apr 26. 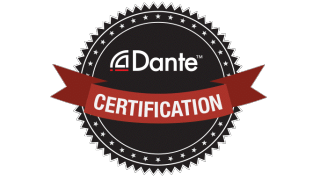 The training event will offer multiple sessions of Dante Level 2 training, an intermediate course geared toward those who are familiar with Dante and are looking to create more advanced systems and best practices. This training will feature topics such as Dante redundancy, clocking, latency, and multicast. In addition, Audinate will conduct a special topics session “Dante in Broadcast and Dante Domain Manager.” This session will cover the use of Dante in a wide variety of broadcast and remote production applications, including radio and television studios, live sporting events, and electronic newsgathering. Several recent use cases will be discussed, along with an overview of some of the new Dante products announced at the show. Also included in this session is an overview of Audinate’s recently announced product, Dante Domain Manager. Domain Manager is server-based software that brings IT best practices to AV, with the aim of making audio networking more secure, more scalable, and more controllable. It brings user authentication, role-based security, and audit capabilities to Dante networks, while allowing nearly unlimited expansion and organization of Dante systems over any network topology. During NAB, Clear-Com will introduce its new Dante interface card, E-Dante64-HX, for its Eclipse HX digital matrix intercom systems to provide up to 64 channels of low-latency, high-quality AoIP interconnection with Dante and AES67 enabled devices. The card will be shown in booth C6908. The sessions will repeat during the day, with both the Level 2 certification course and the Dante in Broadcast course being offered in the morning and afternoon on April 26. The training sessions will be held in Ballroom F at the Westgate Hotel. To learn more and register for the training sessions at NAB 2017, visit Audinate's website.